The Denver Performing Arts Complex (DPAC) is one of the most impressive performing arts centers in the world, featuring 10 performance spaces connected by an 80-foot-tall glass canopy with world-class art to match. 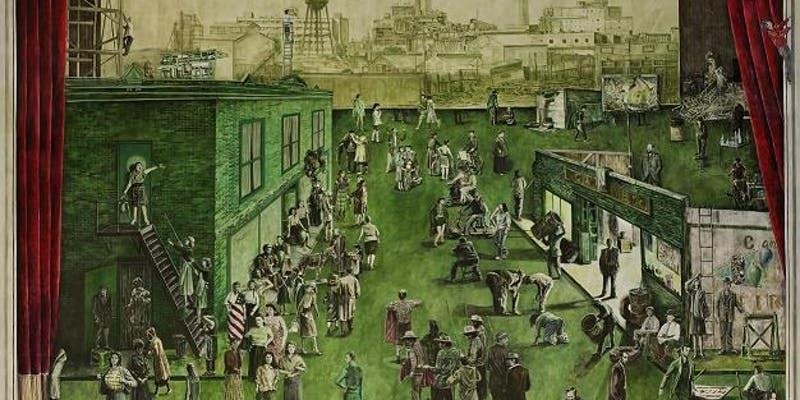 Participants will learn about Stephen Batura’s epic mural “Rehearsal” in the Ellie Caulkins Opera House, with all of its fascinating characters and scintillating stories. John DeAndrea’s hyper-realistic sculptures will make you look twice – are those ballerinas breathing? Get a new perspective on Jonathan Borofsky’s “Dancers” in SculpturePark at Denver Performing Arts Complex by standing directly underneath the 60-foot sculptures and listening to the music composed by the artist himself to accompany the dancing giants.